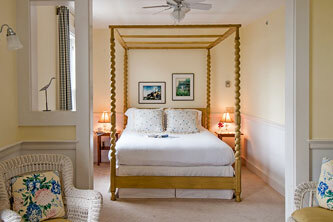 This king suite has summery faux bamboo furniture and a cozy pullout sofa. 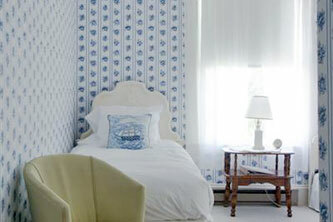 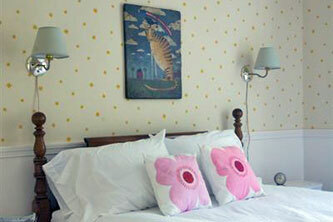 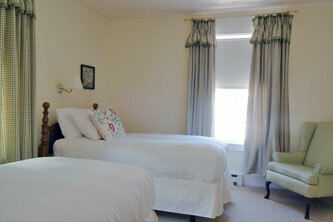 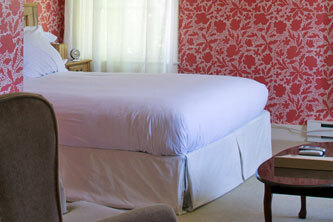 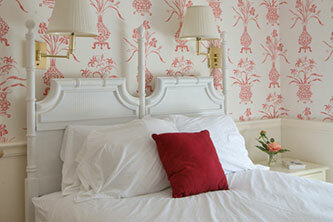 The bed is made up with Italian linens and a lofty duvet. 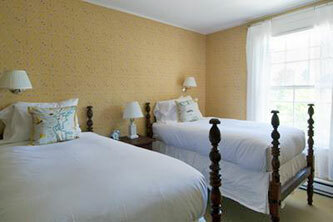 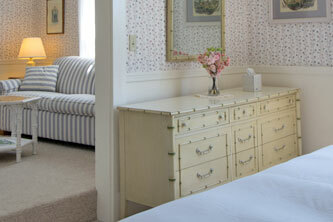 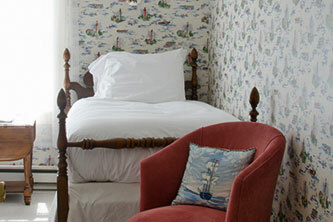 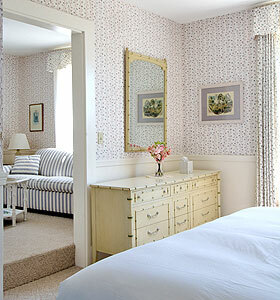 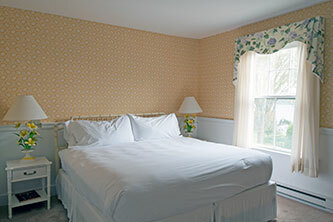 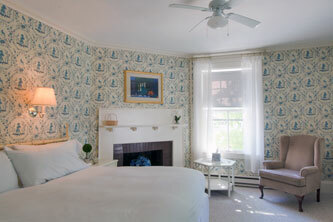 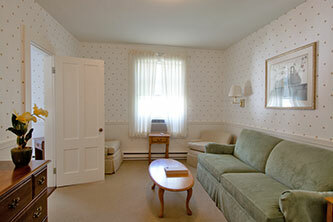 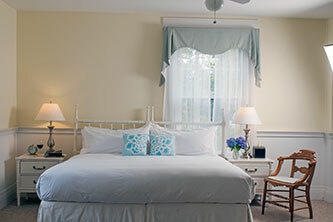 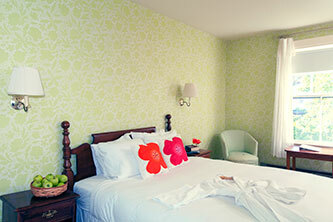 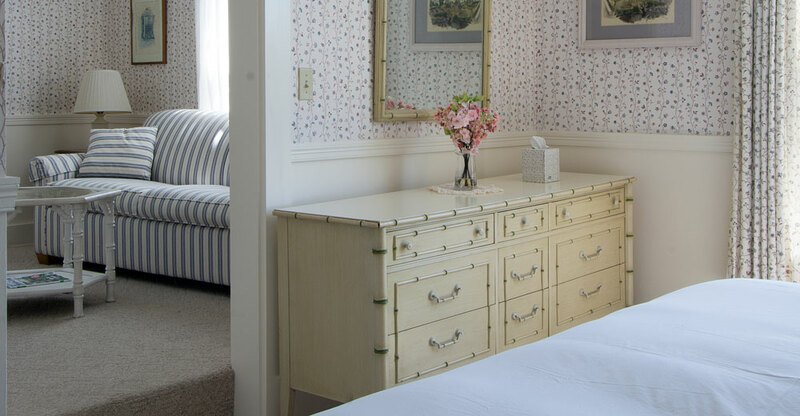 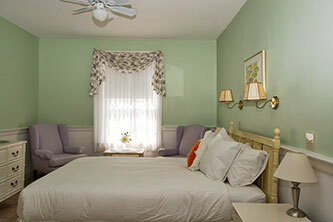 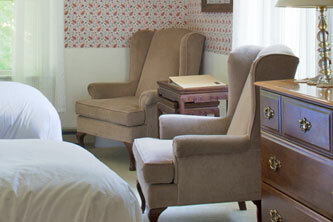 There is a fabulous view of the harbor and the renowned Castine Inn's garden. 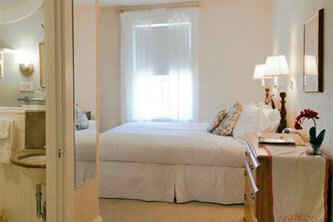 Private bath with tub and shower. 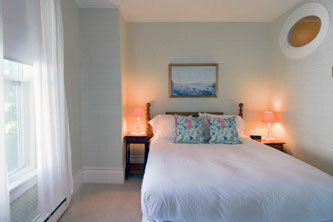 Air-conditioning.